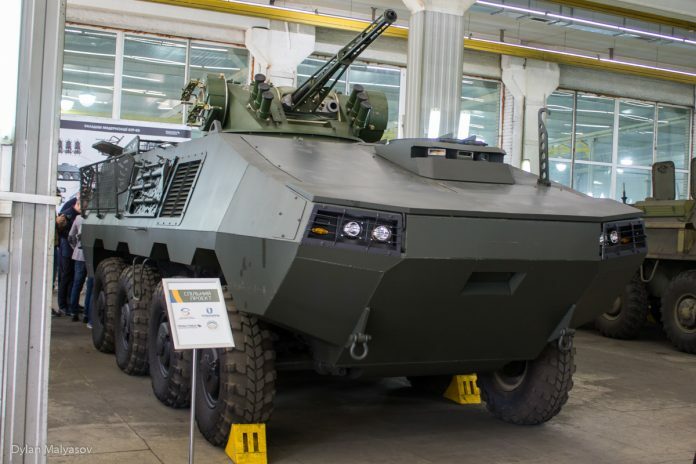 Ukraine-based Practika has developed an Otaman upgrade package for the BTR-60 armoured personnel carrier (APC) and was unveils during the first All-Ukrainian forum of private defence enterprises. The Otaman wheeled armoured vehicle is a four-axle, amphibious 8 x 8 vehicle. The general configuration is classic, with the driver positioned in the front of the vehicle, on the left, with the commander behind him, while the engine compartment is on the right. The driver has his own cupola with three periscopes. The vehicle’s troop compartment is at the rear. In the BTR-60, the crew compartment is located in the front of the vehicle and the driver’s seat is on the left and commander’s seat is on the right. 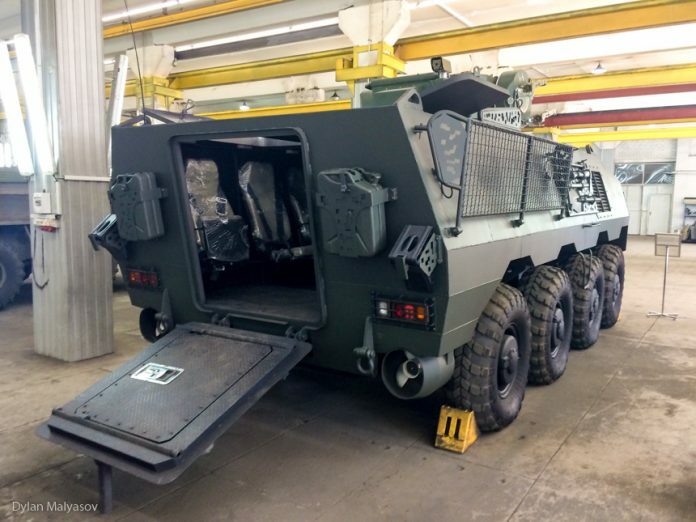 The Otaman is fitted with the BM-3M «Shturm-M» Combat Module developed by «UkrOboroNprom». The BM-3M «Shturm-M» Combat Module is designed for installation on the light armored combat vehicles (APC, ICV etc) for fighting against the ground and low-flying targets and autonomic usage as immovable firing points for the defense purposes and can be mounted on the sea-craft’s turret.